The education sector is aggressively seeing initiatives in the fields of training and development as well as e-learning. Here's a look at some of them. The Indian education sector is growing at a rapid rate. The fast emergence of EdTech and the inflow of FDI are further boosting its growth. India’s e-learning sector is pegged at US$ 2-3 billion, and is expected to touch US$ 40 billion by 2017, according to the Indian Brand Equity Foundation. The FDI inflow into the education sector was US$ 1,256 million from April 2000 to March 2016, according to the Department of Industrial Policy and Promotion (DIPP). Eyeing all of this as an opportunity, IT firms, EdTech and other organisations are coming up in high numbers to collaborate with higher education institutions and even international tech organisations for imparting certifications in areas such as social media, analytics etc. Courses like Big Data certifications, Six Sigma certifications etc are coming up as new areas of interest for startups and experienced industry leaders alike. 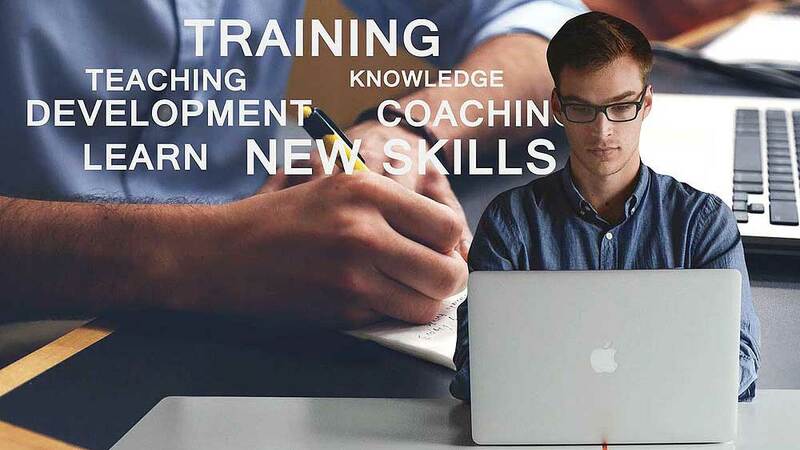 In the past one year, there has been a sudden spurt in collaborations to provide online certifications and trainings to both students as well as employees of different organisations. The most recent one here is the collaboration of Wiley and Edvancer to provide a globally recognised certification in Big Data and Hadoop. The Wiley-Edvancer Certified Big Data Expert course is specially designed for IT professionals, engineering & computers students looking to gain relevant skill-sets and get jobs in the big data and analytics space. The course will be delivered by Big Data experts from around the world through a live, instructor-led, online class format. “Big Data is a field that has sparked a huge interest in the recent years, with organisations realising the need to implement Big Data solutions to make better business decisions every day. This has led to a great demand for industry professionals with the right skills set to help organizations meet these requirements. Through our advanced training programs, Edvancer & Wiley would like to help students & professionals enhance their skills, for a flourishing career in Big Data & Analytics,” says Vikas Gupta, Managing Director of Wiley India. Anuna Education, a partner to National Skills Development Corporation (NSDC) has announced the eEntrepreneurship Program in collaboration with eBay India. Anuna Education will train entrepreneurs to sell their products on eBay globally in collaboration with eBay India along with a practical training on how to sell the products to global buyers. Higher educational institutes are also aggressively launching courses providing training and certifications. Tata Institute of Social Sciences (TISS) has launched the ‘School of Vocational Education’ program to offer vocational training courses in 20 sectors or verticals in association with relevant training partners in 25 different cities across India. The Skill India initiative by the Indian government and plans of digitalisation have been giving a morale bosst to investors in the areas of training and development. Prime Minister Narendra Modi has set a target of training 400 million citizens by 2022 that would enable them to find jobs. The education market stood at US$ 100 billion in 2015-2016 and is expected to reach US$ 116.4 billion in FY 2016-17. As the potential areas of the education industry continue to grow, the sector is fast becoming a Pandora box of opportunities both for new ventures as well as effective collaborations. The road ahead looks clean for expansion of the areas of training, certifications and e-learning. Most funded areas of education sector..